First we acquire information and genealogical data from public and private archives, which may be State Archives, Historical Archives or Diocesan Archives. Then, the research continues in the national registries and archives. Notarial archives are also very useful for the genealogical tree creation. Moreover, searches can also be performed at the Land Registry. 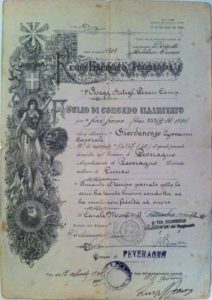 Locating legal heirs and rebuilding genealogical lines of relevance is a complex operation: until a few decades ago the acts were manually written and the official language of religious documents was Latin.